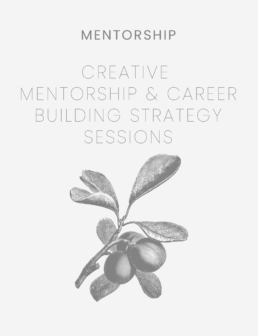 View cart “Creative Mentorship & Career Building Strategy Sessions Bundle” has been added to your cart. Being an entrepreneur can be tough ! I know. Having someone who has done it before, and someone you can chat to, plan and strategize with when you’re trying to build the independent career of your dreams, is pure gold and something I wish I had had! We can meet in a local coffee shop ( I’m based in Fourways, Johannesburg and know lots of great places) or we can chat over Skype and enjoy a cuppa in the comfort of our couches. Either way I want to walk alongside you as you grow the business you desire and the lifestyle you long for.